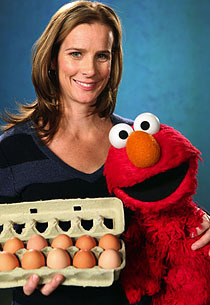 See the gallery for quotes by Rachel Griffiths. You can to use those 7 images of quotes as a desktop wallpapers. It was a lovely opportunity for the first time in my whole career to stand up and thank people who are really responsible for me getting to realize my dreams. A Golden Globe is a mood-altering substance, there's no doubt about that. But just playing the partner of someone famous, I had a lot more freedom. I grew up on cricket and I think Australian kids are getting so Americanized, you know? I just don't see where I could possibly fit in directing a feature. I think a big part of our attraction to sport movies are the stories contained within the sports. I think baseball - the baseball genre - is this mitt, to use a double pun there, to catch a whole bunch of themes. I think family movies have gotten so rich in this country. I'm developing some screenplays at the moment with my Australian producer. I'm pretty ruthless about that; I think when you sign over your story, you sign over your story. I'm quite intuitive about what I pick. Often it's to do with what I've just done and how I'm feeling. People going into the cities for the opportunities and the towns are getting older, no young people. And I grew up watching all the British ones so when you hear that from an early age, it makes it much easier than you guys who don't grow up with Australian television or British television.